Becky’s training career started in the leisure and tourism industry in the early 90’s where she was exposed to a very diverse fast paced environment which provided an excellent environment to learn her skills. During this time Becky also gained her CertEd qualification in adult learning which gave her the foundations needed to develop in her role, quickly gaining promotion to a training management role. Keen to develop her knowledge and skills further Becky embarked on her first freelance outing where she designed and delivered a new induction programme which was successfully rolled out across several major government departments. In addition her client base of private sector clients grew and a very successful consultancy business developed. Becky missed being part of a team and in 2004 moved into a Sales and Management Development role with a multinational recruitment company. She designed and delivered a management development programme for the whole of the UK and Ireland business, and worked closely with regional sales managers to ensure that sales teams were up-skilled using current and relevant sales techniques. Becky then joined a global recruitment company as Training Manager where she developed a sales training programme where 85% of fee earners increased their billings. 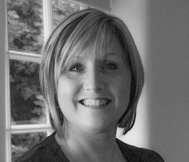 Since 2006 Becky has been working with many multinational organisations as well as SME’s on a consultancy basis. Her focus is on supporting organisations to achieve return on investment from training through implementing effective post-training implementation and measurement. Becky’s passion lies in training delivery and through her innovative and fun approach, she has achieved a reputation as an expert in her field. Becky’s personal life revolves around her family and friends, she is a keen cook and loves entertaining. She plays the drums, loves going to gigs and is currently training for her first triathlon.